We’ve all done some dumb things. I have. You have. We’ve all done dumb things. It’s part of the human experience. Welcome to the club. Why? How? How can we forget about what is behind? How can we forget about the mistakes of the past? How can we keep going? A coupe of reasons. First, there’s nothing we can do about it. Nothing. It’s done. You can’t go back and undo it. Worrying about and lingering it won’t undo it. Second, and more important, it doesn’t even matter. Through Jesus Christ, you are forgiven. That’s right, you are forgiven. As far as the east is from the west, our sins are forgiven. That thing that you can’t forgive yourself of? That thing in your past you can’t let go of? That thing in your past that you keep beating yourself up over? You’re forgiven. Today. Right now. You’re forgiven. You can let let. Keep moving. Keep going forward. What God has for you in the future is better than any mistake of the past. Keep pressing on towards it. You can do it. You are forgiven. You are free. 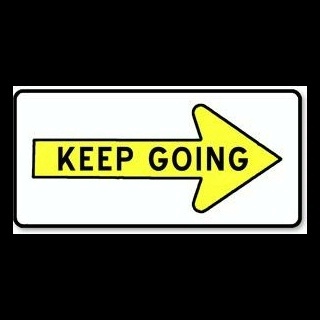 Keep going. Forgetting what is behind, we press on to what lies ahead. Today, let’s do that.